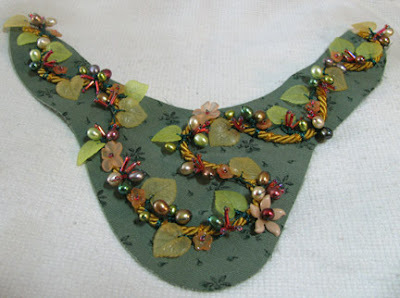 Even though summer is over, and my thoughts are turning to colors suggested by the fall leaves, I still love pearls. So when Artbeads offered to send me anything I wanted to use in a project, as long as it included the colors that Pantone is predicting for the fall and winter, I went looking for warm-toned pearls. And I found them. 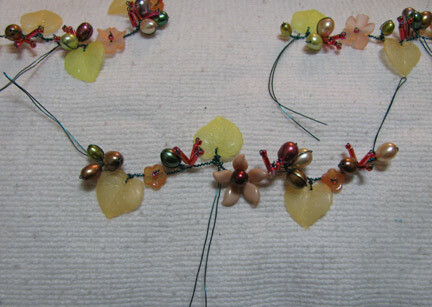 I used Artbeads rice pearls ), but you'll find even more shapes and selection at the pearl main page. 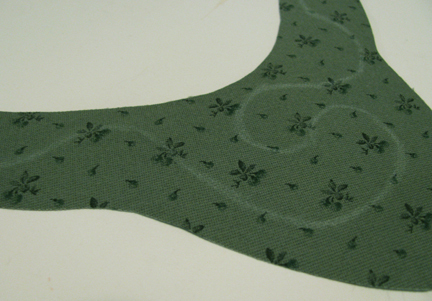 The background fabric that I chose to use is very close to the green hue being called "Woodbine" this year. 1. 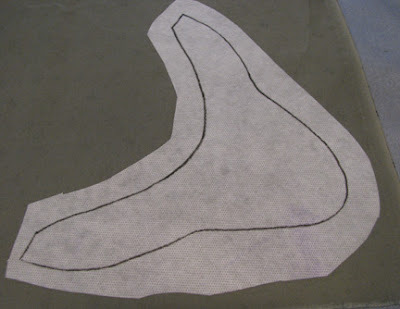 Use lightweight interfacing fused to the back of a piece of fabric for your pattern. 2. On the front, lightly draw where you wish to place the wired cord. 3. 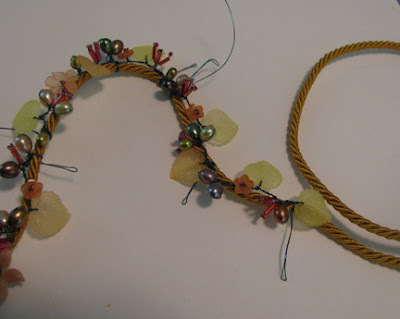 Create manageable sized segments of wired leaves, flowers, and pearls with loose wires left to wrap around the cord. 4. Place the wired segments on the cord and wrap the wires to hold them in place. 5. Use embroidery floss to attach the wired cord to the fabric. Next week, I'll be able to share the completed piece with you and the steps for assembling it! As regards FTC disclosure guidelines: I have received pearls free of charge from Artbeads in order to create a project free of charge for you. I have not been paid for my endorsement as it pertains to the products received. I love your color choices on this, Cyndi, as well as the way the design meanders around like a vine. Gorgeous! And I love the technique you used, very cool!